If you would rather BUILD your dream home instead of BUY it!! 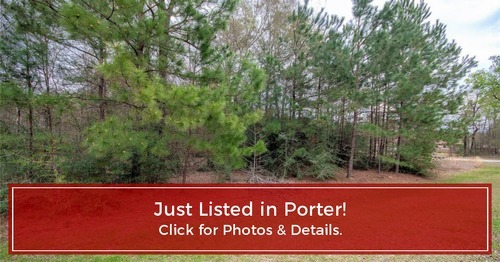 Beautiful fully wooded corner lot in highly desirable River Walk subdivision off of FM 1314 very close to the Grand Parkway in Porter. Build your custom dream home right here! This deed restricted community has a manned gate, private lake access and community park for the entire family to enjoy. With the corner lot, you have many options to situate your home, workshop or pool! Conveniently located just minutes from The Grand Parkway, IH 69 and Valley Ranch Town Center.